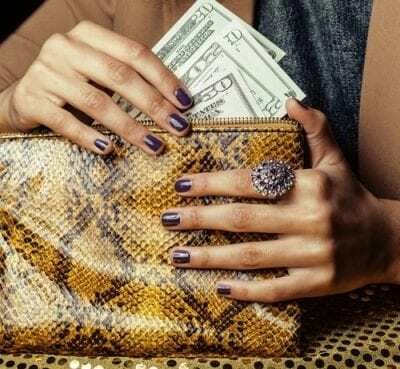 Savvy Perks wants you to know about these insane hair care discounts, deals, and savings you can access through your smartphone app. Hair care (cuts, color, dye, shampoos, and style) are some of the employee benefits in our discount savings club. Motivate your employees with loyalty perks redeemable at hair salons and beauty supplies stores nationwide. Hair care should be in all employee benefits programs as it improves the professional look of your team. Who knew you could redeem loyalty rewards with hairstylists, salon owners, and celebrity stylists? We call it a rewards program at its finest. PS. We offer benefits for part-time employees as well as entrepreneur benefits. 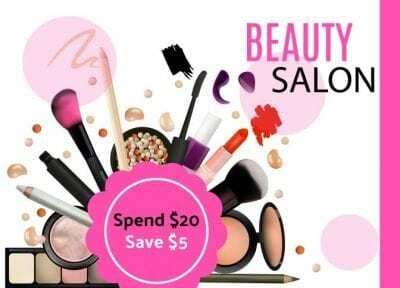 Hair care deals are also known as salon discounts that are deducted from the price of your hair styling bill at check out. 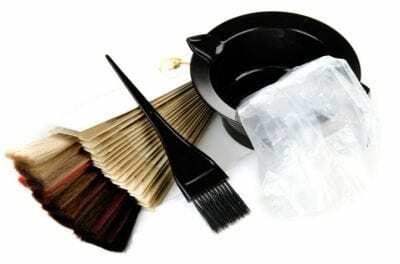 Hair salon coupons vary in amounts but are usually enticing enough to get new customers in the door. Why Offer Hair Care or Hairstylist Savings? 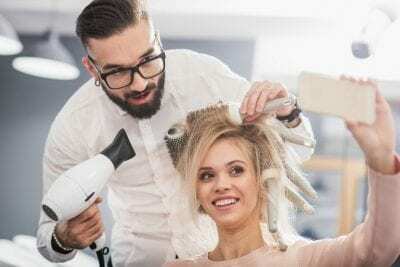 When a salon gets a new stylist or maybe they have a celebrity stylist on a tour that’s dropping in, they will host an outrageous hair-cutting event. This draws out all the coupon clippers. The bonanza also entices new customers who have been thinking about switching to a new color, or they need highlights for the summer. Who Benefits from Hair Care Discounts? 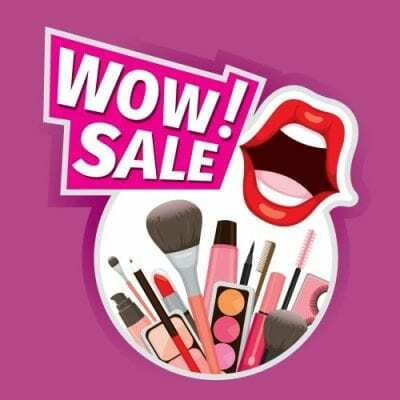 Everybody benefits from hair care coupons, especially beauty supplies stores. They get new customers in the door with a bogo (buy-one-get-one-free) voucher. And it’s a slam dunk for the customer who gets irresistible savings. 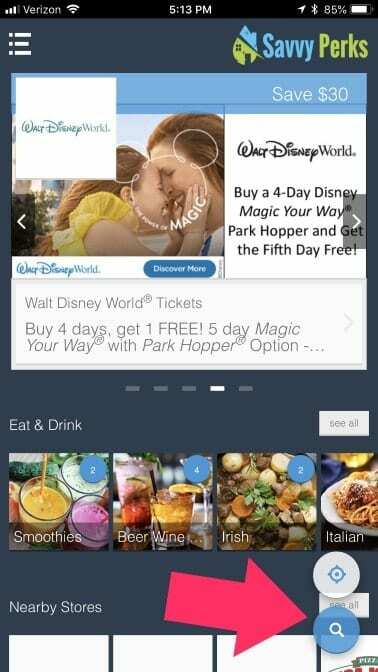 Coupons are advertisements that offer discounts. The coupon tells you what type of hair care perks you get for your money. Coupons usually come in the form of percentage savings like 10% off your entire bill. Or it could be incredible values like $5 off a $20 haircut. Sometimes your coupon will be an upsell. These we call “don’t forget deals.” This is where you buy a hair dye or color treatment and “don’t forget the conditioner you’ll need to seal the treatment.” Because you want the hues to last, you’ll pay the extra money to buy the conditioner. And the perk is that you get it half off. How Do You Get Coupons for Hair Care Discounts? Vouchers can be printed and mailed to you, passed out as flyers or even included on the back of a business card. 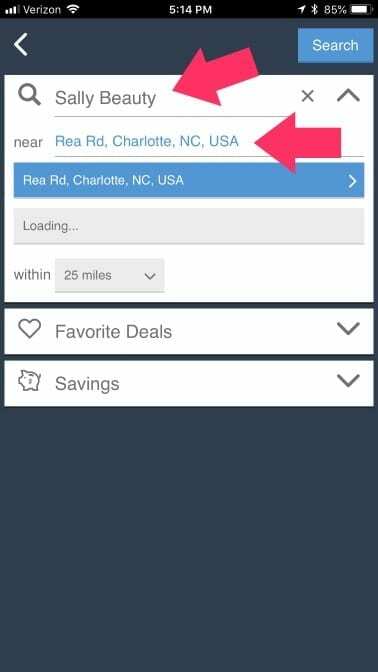 Now, thanks to technology with an employee discount program like Savvy Perks your deals are on your phone wherever you go. Savvy Perks is a smartphone app connected to GPS. So, wherever you go, you can find unbeatable deals, coupons, and savings. Any participating hair salon, barber shop, or hair-cutter near you will pop up. Savvy Perks also gives you access to 250,000 restaurants and retailers – but today we’re just focusing on hair. You still get all the other group discounts too. And at the ridiculously low price of monthly membership – you’ll save the price of your membership on one or two uses. It’s a complete no-brainer. 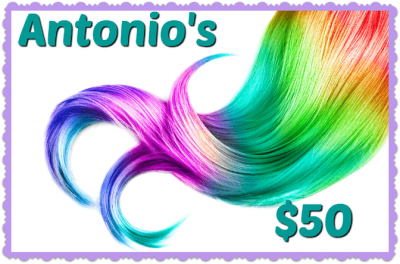 Say its Mother’s Day and your kids give you a gift certificate to a salon for $50. When you go to that salon, you get to spend $50 on any service of your choice. A bob and bangs, a frost, tint, undercut, trim, perm. You name it. The gift certificate has nothing to do with a coupon. It is the way you pay. It’s like using a credit card or cash. 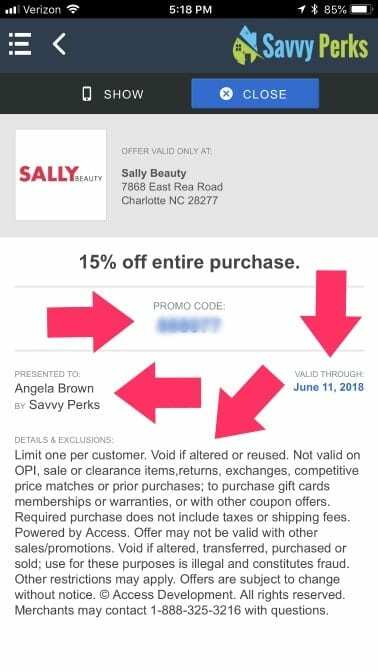 Using your Savvy Perks discount coupon, your $65. 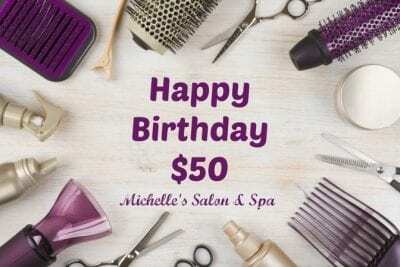 is now $50 and you can use your Mother’s Day gift certificate from your kids and spend no money out of pocket. I can see you already – charging out of the salon with a bold new confidence and a trendy new look. 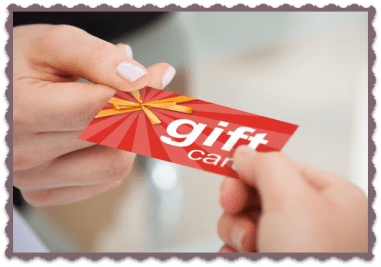 A gift certificate and a gift card are essentially the same and used the same way. You use them to pay for hair supplies, hairstyles, or even a hair consultation. Gift certificates are also issued for hair styling services and beauty supply stores. They don’t have to be just salons. How Can You Find Hair Care Deals and Discounts? The super cool thing is if you’re like me – a new hair do strikes you one day on a whim. You haven’t given it a lot of thought, but today you have super frizzy unmanageable hair. You just want a dramatic cut or some new flair to frame your face. Savvy Perks will let you know what participating salons near you offer ridiculous savings. What if I Can’t Find the My Favorite Salon on Savvy Perks? As a registered user of Savvy Perks, you can recommend any salon, hairstylist, shop, store, retailer or service you like. If they take your money in exchange for a product or service you can request them. There is a simple online form you fill out. Once you submit it, the dynamic sales team (that’s brings you over 250,000 vendors now) will contact them and invite them to join the group discount network. How Do You Redeem Hair Care Discounts through Savvy Perks? 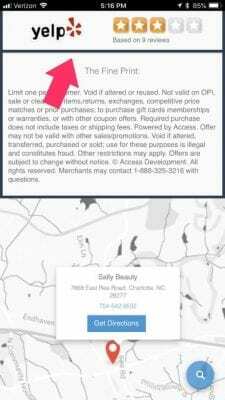 You find the salon or beauty supply store on Savvy Perks. And you can do this by tapping the magnifying glass icon in the bottom right-hand corner. Then you type in the name of the store or salon and the location. Next, you’ll see the coupon and if you have questions, you can click on the company website or call them. Once you’ve clicked on your coupon you will see a coupon code or scannable barcode. You have until the expiration date to use this coupon. Are Hair Care Discounts Limited to One Person? Hair Care deals are different based on location and stylist. Some salons offer one get one free offers. In this case, read the fine print to see if the other person getting the cut must be done at the same appointment. If so, you and your child, or you and your partner could go together to jazz up your looks. The key is to read the coupon details before using. This way there are no surprises, and you’re not asking a new stylist or cashier that may be unfamiliar with how Savvy Perks works. What Happens If a Salon Won’t Honor the Hair Care Deals? The salon is paying to be part of the group discount network. This is an advertising cost for them. So, it is in their best interest to honor the coupons they pay for. Employee perks programs like this bring in lots of new business. So, it prevents the solopreneur or small business owner from having to create their own senior discounts. This rewards program is extreme couponing at its best. And the coupon shopper knows how to leave online reviews. 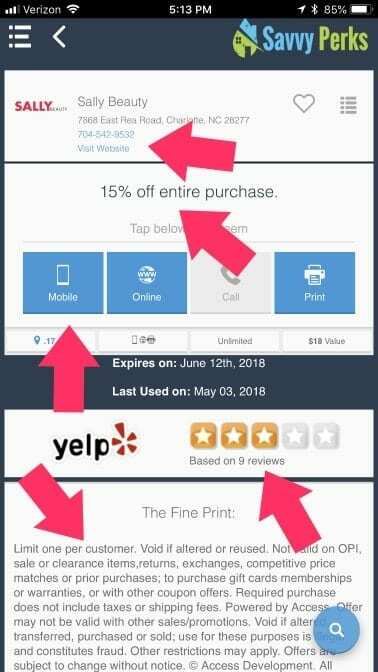 Every deal is connected to a Yelp review where as a Savvy Perks member you can leave your opinion about your experience. Savvy Perks is set up as an employee benefits program for small business. If you are the business owner you can host a contest at work for all employees. Set some rules and a contest date. The winner gets a makeover, or a new haircut, or a gift certificate they can use for new extensions, a frost, a new dye job – whatever they want. Or you could pick up in advance a gift basket of hair care products for the winner. This type of incentive goes hand in hand with a meeting you have on hygiene. And you can let team members grade themselves daily or they can vote “best dressed” of the coworkers. The point is you up level the look of professionalism at your company. And you can pay for the gifts, or gift certificates to the salon, or beauty supply stores with your Savvy Perks membership. Members of your team will start looking forward to these sessions – in hopes of getting some trendy new loot. Every company needs photos for social media, advertisements and your website. What better way to get your team looking best than to announce a company makeover day where you go together to the salon. Everybody gets an updo, shave, trim, highlights, touch up or whatever you decide. Then at a designated time and in uniform, you have professional photos taken that you will use for the next year to promote your business. This is great employee recognition. It’s a way to motivate your employees, motivate your staff, and motivate your team. Of course, when you’re a member of Savvy Perks you can use your member benefits on personal services too. Imagine your teenager is going to the prom and you’re expected to pay for the hairstylist and makeup artist. Think Savvy Perks first for unbeatable savings. Maybe you or one of your relatives is getting married and your everyday hair just won’t do. No problem. You can use your Savvy Perks employee benefits to save money on your special occasion hair. 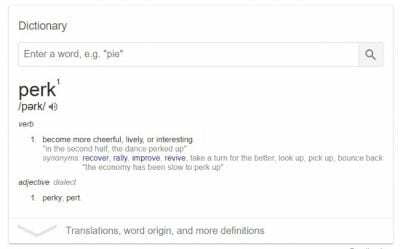 Everybody has birthdays, anniversaries, graduations and retirements. And s some people are super hard to shop for. Now you don’t have to worry about buying the wrong thing. A gift certificate to a nearby salon lets them be pampered in style. Nothing to wrap, ship, store or dust. Booyah! 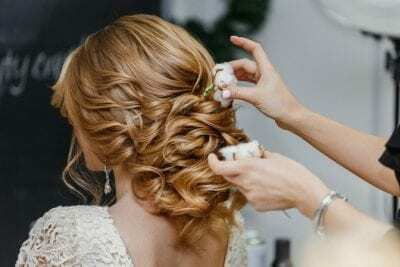 What Are the Restrictions of Hair Care Discounts? Because salons are a service business the hairstylists only get paid when they work. Regardless of the insane discounts you get from Savvy Perks, please remember to always tip your stylist an appropriate amount. Twenty percent of the price of service is standard, but if the stylist does a superb job, more is always appreciated. These restrictions aren’t posted anywhere and a stylist will never ask you for a tip. But if your looks have just been reinvented by a color technician with talent and imagination, don’t be an extreme cheapskate. It will make you look bad even if you’re beautiful.